The pic that sums up the last 7 years and counting..
except for the refugees that aren't welcome of course. 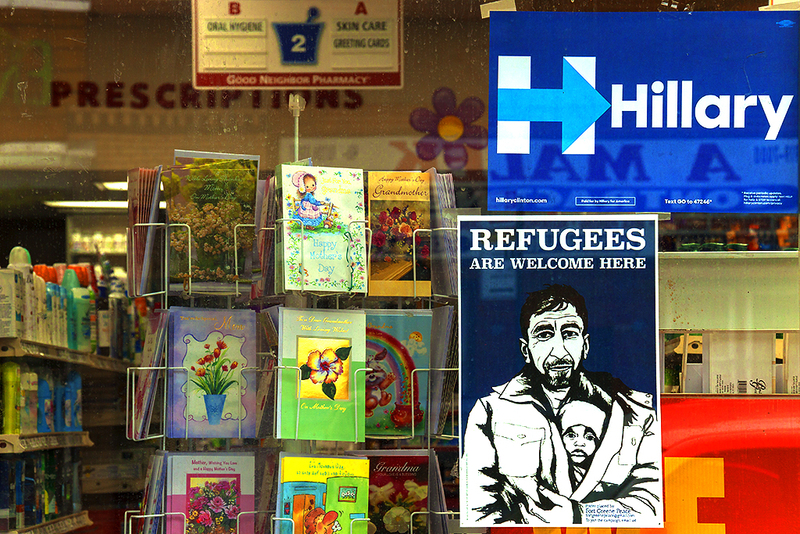 But the cause-effect is right there in front of the greeting cards. The people who put up the Refugees Are Welcome posters will vote for another war criminal to create even more refugees, of course.